We’ve reviewed and are impressed! The Celebration Team has done it again! These wedding pros have released a wedding planning guide called Love Celebration – Your Ultimate Wedding Planner. Love Celebration promises to be the ultimate resource to ensure an idyllic wedding day. Love Celebration really is the crème de la crème of wedding planning guides. Hot tips – new ideas and handy hints. Downloadable and editable budget, table seating plan, vendor contracts, and so on, from the website. An entire section on touchy issues (such as dealing with step-children or difficult in-laws). 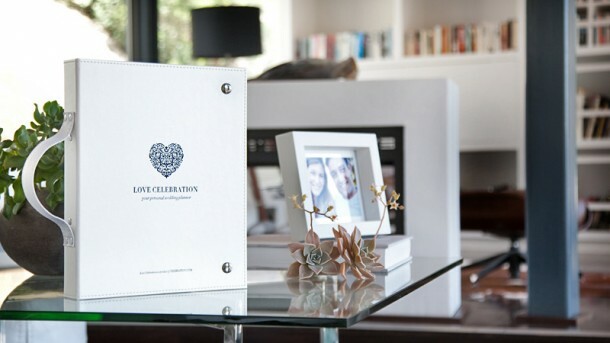 Love Celebration will be your special keepsake long after your big day. It also makes a great engagement gift and can be included as part of the professional wedding planner’s package. To purchase your Love Celebration Wedding Planner contact the Love Celebration Team on telephone +27 (0)21 671-2311, or see Love Celebration for more info or to send an enquiry.